USB 3.1 still isn't incredibly common on consumer electronics, but the USB Implementers Forum is looking to the future. 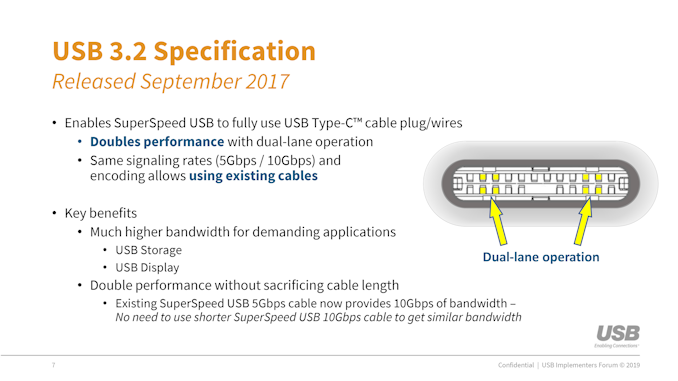 The group has formally announced the new USB 3.2 standard, which not only promises to be twice as fast as USB 3.1 (in some cases), but will also be far more confusing. Starting with the non-confusing part, USB 3.2 will support a new 20 Gb/s transfer speed — twice as fast as USB 3.0, but still half the maximum speed of Thunderbolt 3. This is possible with a new 'SuperSpeed' feature, where two 10Gb/s lanes are used simultaneously. This functionality should even work with existing USB 3.1 cables. 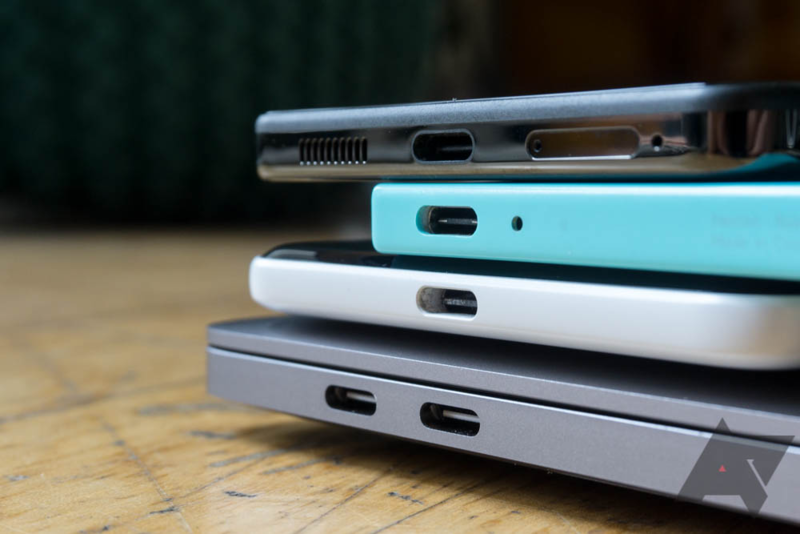 While it's extremely unlikely we'll see phones using this SuperSpeed standard anytime soon, as many modern Android devices still use USB 2.0 (even those with a Type-C connector), USB 3.2 will probably make an appearance on desktops and laptops next year. For some reason unknown to me, the USB Forum has also decided to bring all existing standards under the USB 3.2 brand. USB 3.0, which was already renamed to 'USB 3.1 Gen 1,' has once again changed to 'USB 3.2 Gen 1 (SuperSpeed). USB 3.1, commonly referred to as 'USB 3.1 Gen 2,' is now 'USB 3.2 Gen 2 (SuperSpeed 10Gbps). And you thought LG was bad at naming things! It's nice to see USB continue to improve, but the new branding is ridiculously complicated. The USB Forum could learn a thing or two from the W-Fi Alliance, which is now using single-digit naming schemes for all versions.